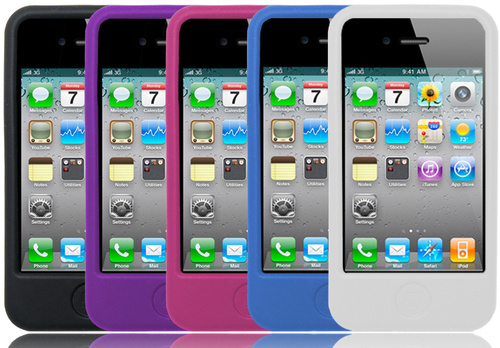 While Apple may be unwilling to give out free (overpriced) bumper cases to resolve the iPhone 4 “Death Grip” signal drop issue, Cases.com has taken up the cause and will hook you up with a free LifeGrip Silicone Case! You just need to pay the $3.73 cost of First Class shipping and you’ll be DeathGrip free. While I suspect these are probably not the best quality cases, the shipping is cheap and you have your choice of 5 colors, Black, Blue, Rose, Purple and White…plus you’ve gotta love the product name. There is a limit of one case per customer and right now the Black and White cases are backordered for a few weeks. Click here for more details or to order your free case.